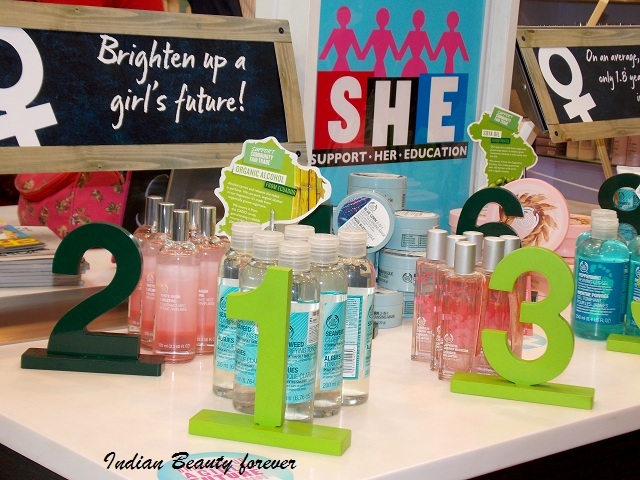 New Delhi: 7th March 2014 - I was being invited for this event where The Body Shop launches S.H.E- Supposrt her education. 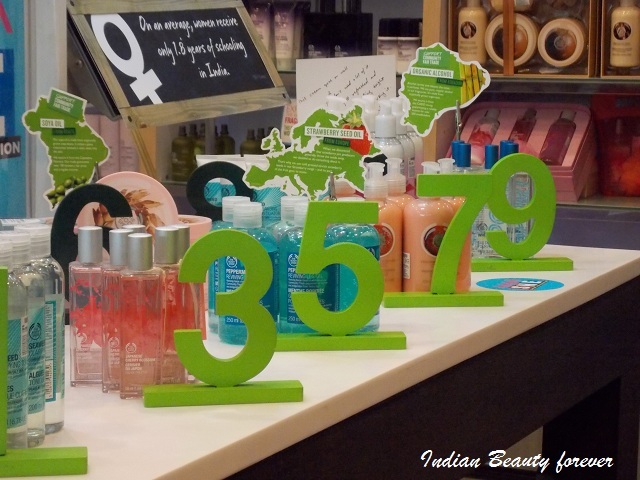 The original, natural and ethical beauty brand The Body Shop, launched S.H.E. 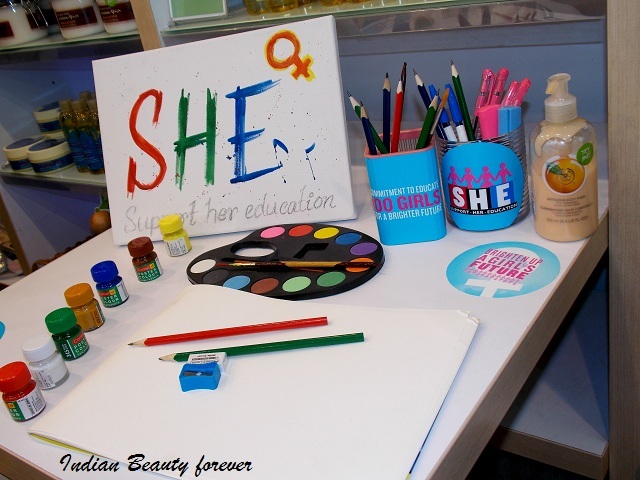 – SUPPORT HER EDUCATION, a campaign aimed at educating 100 girls in need, in association with Food for Life Vrindavan (FFLV). Education is one of the most critical areas of empowerment for women which is needed today. On an average, women receive only 1.8 years of schooling in India. 53% of girls in the age group of 5 to 9 years are illiterate. Offering girls basic education is one sure way enabling them to make genuine choices over the kinds of lives they wish to lead. An educated woman has the skills, information and self-confidence that she needs to be a better parent, worker and citizen. S.H.E. 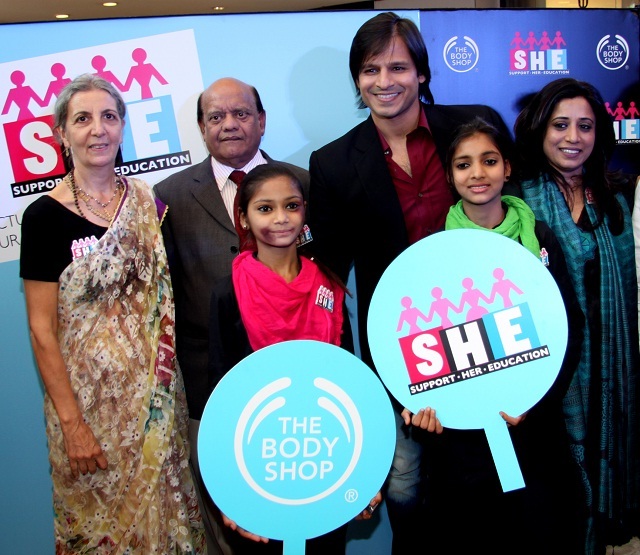 – SUPPORT HER EDUCATION is an endeavor to highlight girls’ education as one of the crucial and sensitive issues of today. 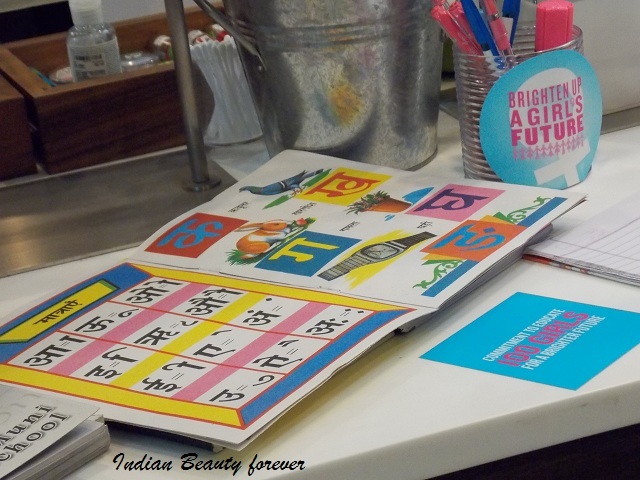 This one year long campaign will raise funds, through the 100+ stores of The Body Shop India. 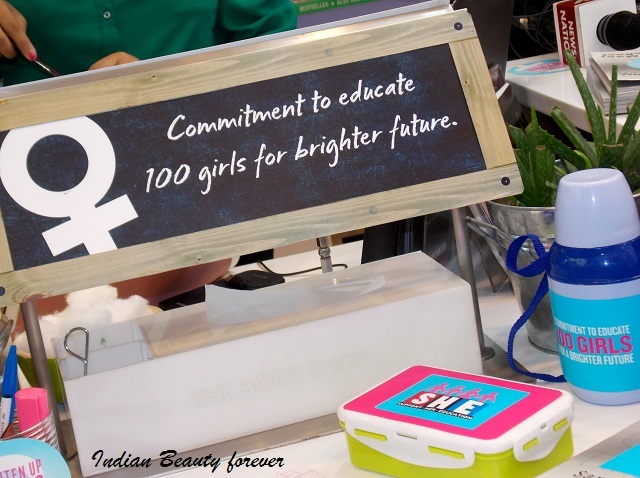 These funds will support the education, food & healthcare of 100 underprivileged girls. 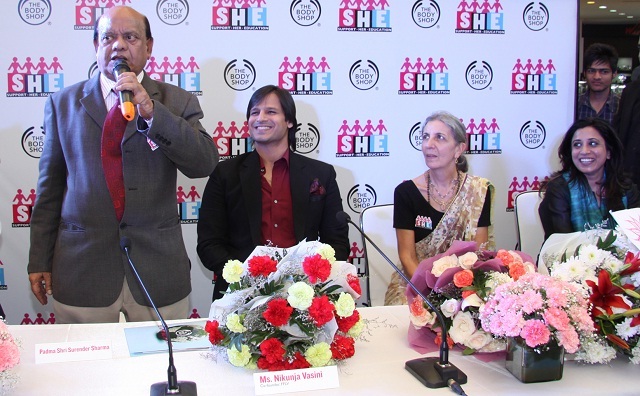 Agreeing with Ms. Malhotra, celebrated actor Vivek Oberoi adds, “Educating girls and young women is not only one of the biggest moral challenges of our country, it is also a necessary investment for a peaceful and poverty-free world. 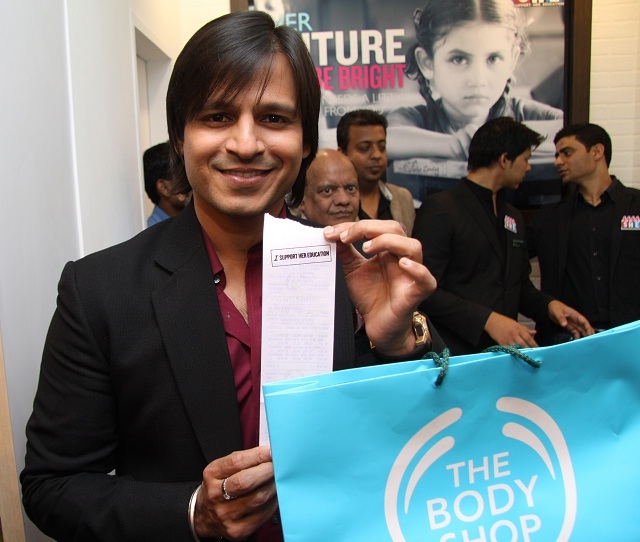 I feel privileged to be associated with this campaign and I’m thrilled to partner with an ethical and socially conscious brand such as The Body Shop. Check out some clicks that I made.